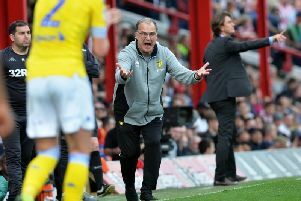 Leeds United: When do Sky Sports announce the next batch of live fixtures? Sky Sports Leeds is what they call it in West Yorkshire. The Whites have had a number of Championship fixtures selected for TV coverage so far including their opening day game against Stoke City at Elland Road on August 5 (4:30pm). But when will Sky Sports make their selections for the next batch of fixtures? Selections for September 1 to September 29 by July 27. Selections for October 3 to November 10 by August 24. Selections for November 17 to December 8 by October 12. Selections for April 6 and April 10 by March 1. Selections for April 13 by March 8. Selections for April 19 to April 22 by March 15. Selections for April 27 by April 5.